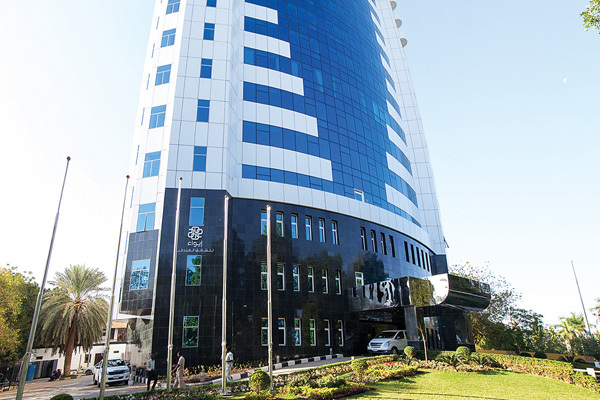 Dubai-based HMH - Hospitality Management Holdings has officially opened the EWA Khartoum Hotel & Apartments in Sudan. The grand inauguration was attended by Mohamed Adbul Karim Al-Had, Federal Minister of Tourism, SSIA chairman and general commissioner and Laurent A Voivenel, CEO of HMH. Situated at the bank of the Blue Nile, EWA Khartoum Hotel & Apartments features 70 rooms and apartments equipped with first rate amenities. The hotel has been designed keeping in mind the needs and expectations of modern business and leisure travellers including families as well as short and long-stay guests. Overlooking the Blue Nile, all apartments offer sweeping views of the Nile. On site are excellent corporate and recreation facilities including an international all-day-dining restaurant, a coffee shop, choice of multi-purpose meeting rooms with natural daylight, business centre, fully-equipped gym and two saunas. The opening is part of HMH's strategic expansion in Sudan and reinforces the group's strong presence in the country being its fourth hotel there. Laurent said: "It gives us great pleasure to unveil EWA Khartoum Hotel & Apartments. The launch of the hotel is in keeping with our commitment to support the development and growth of hospitality and tourism sector in Sudan. EWA Khartoum is the only hotel boasting serviced apartments in Khartoum and we are confident it will quickly establish itself as a preferred address for both domestic and international travellers. There is a strong demand in the country for quality accommodation and being a Halal-friendly, alcohol-free chain of hotels, our brands are a perfect fit with Sudan's Sharia-compliant traditions and culture." Sudan, with its diverse ecology, rich heritage, unexplored archaeological sites, generous hospitality and strategic geographical location in North East Africa serves as a bridge between the Arab and African regions. It is a country that boasts more pyramids than Egypt.